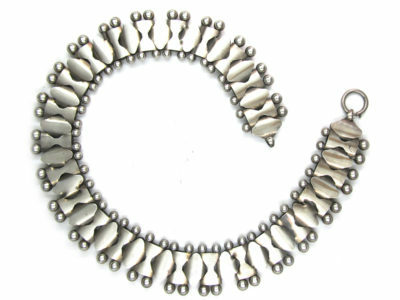 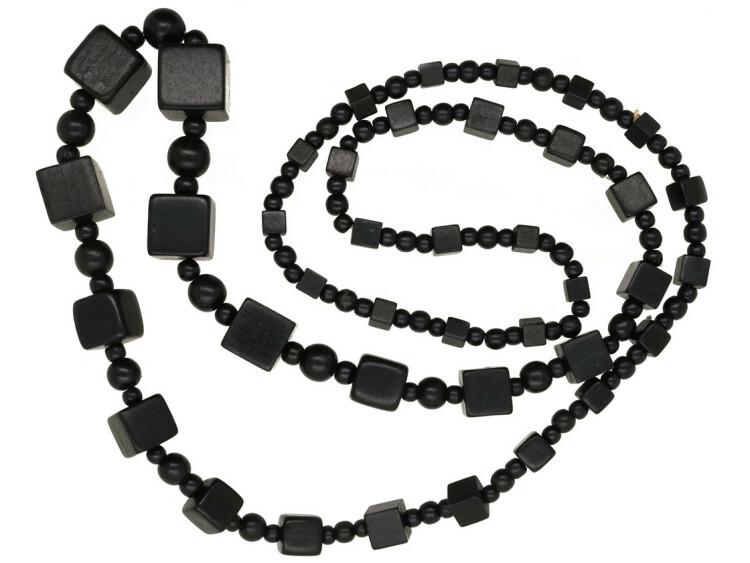 A decorative necklace made from vulcanite. 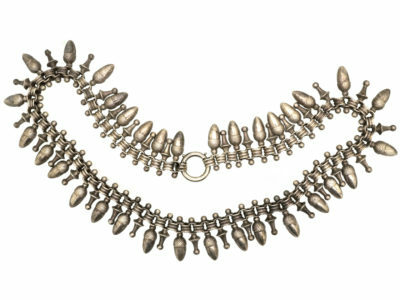 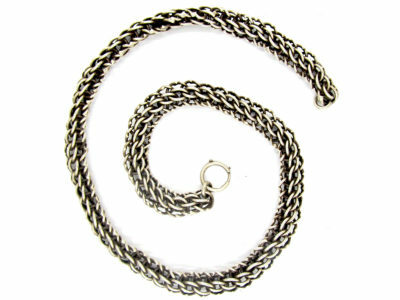 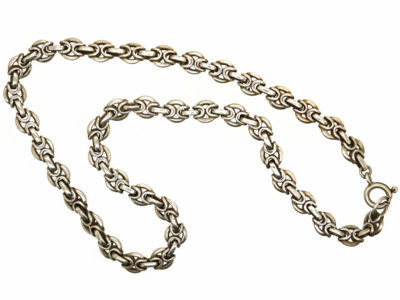 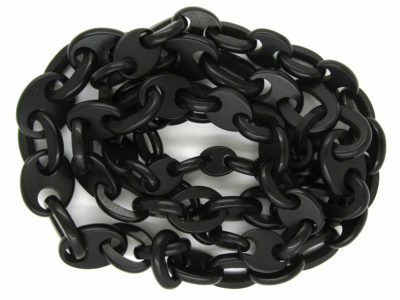 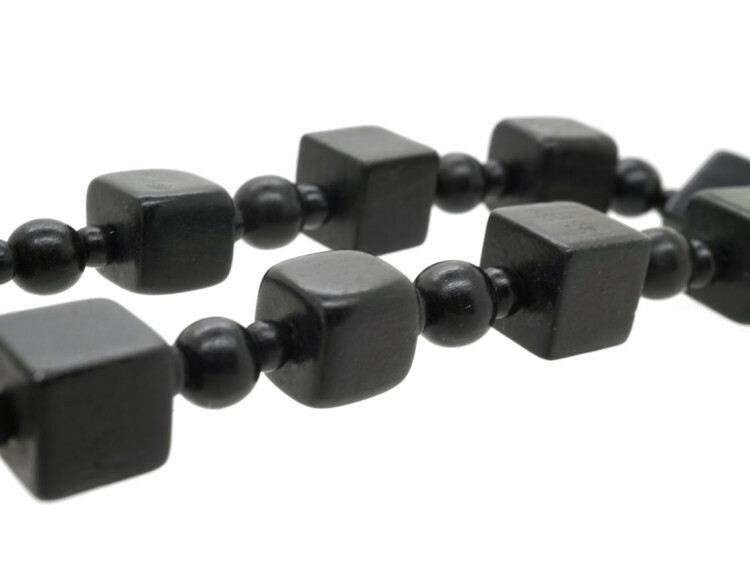 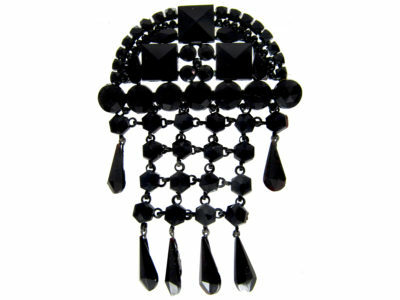 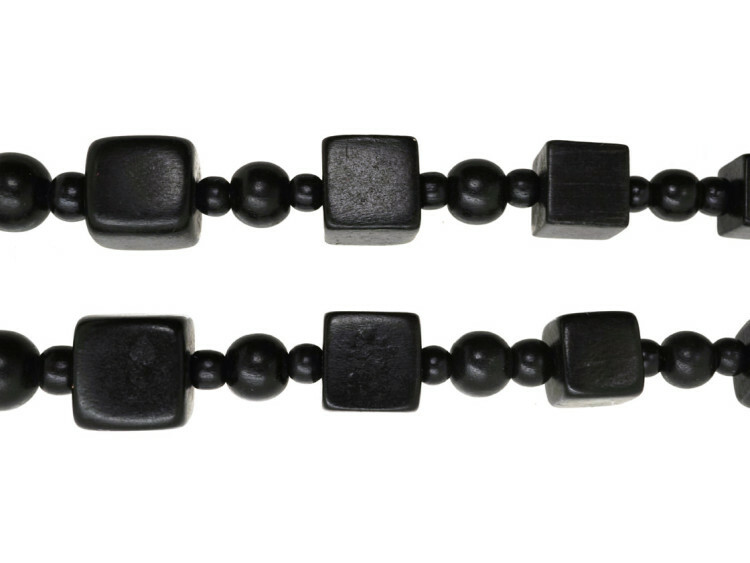 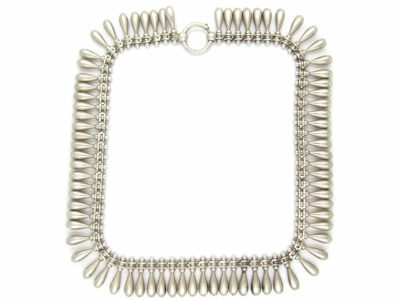 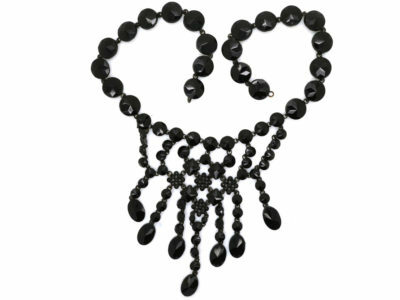 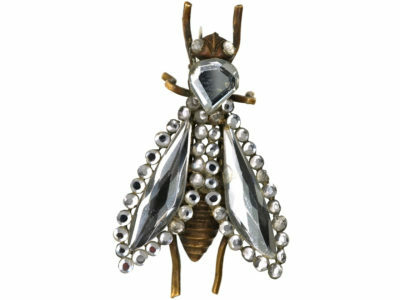 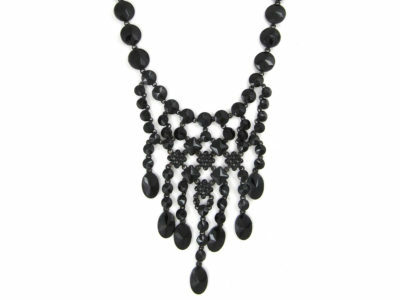 It is composed of cubes and circular beads and is rather modern looking although it was made in the late 1800s! 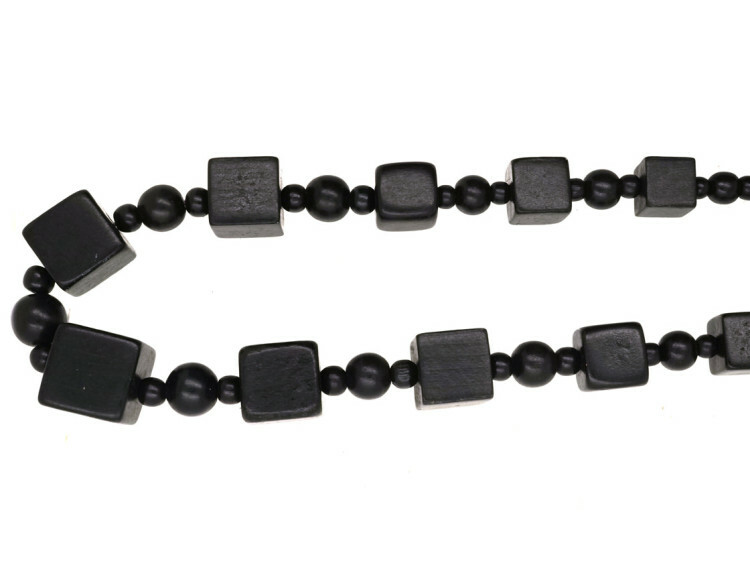 Vulcanite was patented in 1846 by Goodyear (the same tyre manufacturer of today), as the patent specified a manner of mixing rubber and sulphur, then heating the mixture to one hundred and fifteen degrees celsius. 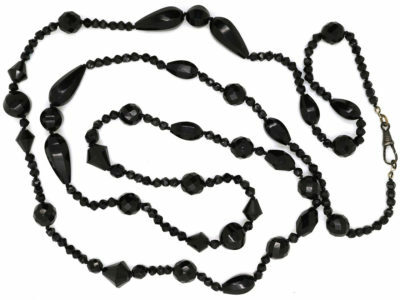 Often called ‘ebonite’, vulcanite was the most mass-produced rival to actual jet. 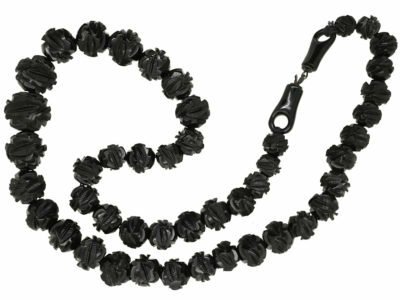 Its ability to be moulded and not carved, along with a relatively low cost to manufacture made vulcanite a material that was accessible to middle and lower classes of the 19th century, especially at a time when actual jet was the height of fashion.